Being a product manager in Develandoo is not an easy task, for the last 3 years, I had to work and learn a lot. 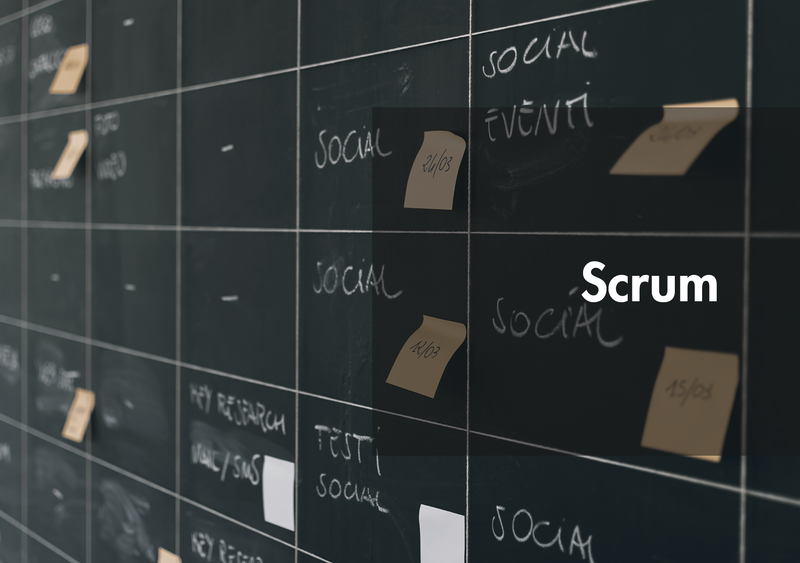 So to keep everybody happy, you need a process and believe a very well defined one – and that’s where Scrum comes to the game. Scrum is one of the Agile development practices today. A large number of organizations worldwide, not just those involved in Software and IT are embracing agile methodologies. Scrum is the most popular among scrum methodologies and Scrum professionals are in great demand. In scrum, features are written from the perspective of the end user. Features are known as User Stories. The collection of all these user stories is called Product Backlog. Another way of thinking of product backlog is ‘Wishlist’ that would make this product great. Accordingly, we are going to start the planning and identify which specific user stories are going to be put in a particular release of our product. And we are getting ahead of ourselves! In order to develop a product required by a client, we need a group of people that play a variety of roles in the development process. One keeps the role of product owner and makes sure that the right stories make the backlog and presents customers and users needs. She helps to set the direction of the product. Then we must have a Scrum Master who makes sure that the project is progressing smoothly and that every member of the team has its tool to have the job done. The rest of team members play roles such as some of them build the product, some of them test the product to make sure it works right and at the end customers use and pay for it. Let’s start with the backlog. At first, you identify the stories you want to be put into the release. Team members estimate user stories. Sometimes too large user stories are broken into smaller, more manageable chunks. The collection of all estimates provides the rough idea of the total amount of work. They are a lot of techniques to create the right estimate. Some prefer estimating story points but the best technique is to estimate in hours. When the backlog is ready with user stories and the time estimation is made we are ready to make Sprints. Sprint may last from several days up to 30 days depending on product release cycles. The shorter release cycle the shorter sprint should be. We could take our release backlog and broke it into sprints. The most important to know about the process is that at the end of each sprint we should have the fully tested product with all of the features of the sprint completed; the goal of each sprint is to get a subset of released backlog to a ship-ready state. Since sprint is very short and your team couldn’t complete the development of the product on time, this case indicates that went wrong in the scheduling process. Here it’s important to monitor the progress of each sprint with Burndown Chart. It’s the N1 reason for scrum’s popularity, it is considered one of the project’s visibility tools to ensure the projects progresses smoothly. Burndown chart provides day by day measuring the amount of work that remains in a given sprint. Plus it’s important to make daily Scrums as a tool. It’s an essential communication tool for having communication flow freely between members. The idea is to have a Stand-up meeting where team members list their work they have completed since the last meeting and state any obstacles they met during the day. Finally, when each sprint comes to a finish it’s important to have a Sprint Retrospective meeting where the team reflects on what was right, what went wrong and how to correct the previous mistakes. To summarize what I have introduced is that in Scrum there are 3 key roles that are that affect the framework to work well. who is responsible for binding the features that are needed in the product. leaders of the team responsible for the team, teamwork, project flow, running the meetings and for keeping things going on continuously. where Product owners create and prioritize features known as user stories. User stories are ways of describing features set e.g. As a……………(user), I need………… (something), So that………..(reason). Making this kind of user stories allows the product owner to specify the right item according to priority, discuss with the team and make estimations. User stories with highest priorities go to Sprint Backlog. show the progress during the sprint on the completion of the task in the sprint backlog. Burndown chart approaches to 0 points when the work is completed. There are ‘3 ceremonies‘ that makeup Scrum. Think of this as meetings or discussions. where the Product Owner, Scrum Master, and the team meet to discuss the user stories and estimate them accordingly. It occurs at the end of the sprint. This is where the team demonstrates their work to the product owner and then the team discusses what they can do towards the improvement of the working flow. That’s all for today, stay tuned to our articles at Develandoo Blog and do not forget to hit the subscribe button!